It was only two years ago that Western Digital launched a record-breaking 200GB microSD card. Now, the storage specialist is doubling down with the announcement of a 400GB microSDXC card under the SanDisk banner (Western Digital bought SanDisk for $19 billion in late 2015). At 400GB, the card can hold roughly 40 hours of 1080p video but offers other advantages as well. The launch of Android Marshmallow introduced the ability to use microSD cards in mobile phones as adopted internal storage. Cards must meet certain minimum execution requirements to be used in this way. This restriction, however, will not pose a problem for WD’s latest offering. The microSDXC (64-400GB) line is designed with the Android user in mind and carries the A1 App Performance stamp. This standard, given by the SD Association, means the card is optimized for app performance and meets or exceeds the standards imposed by newer Android operating systems. Data transfer rates are higher as well with read / write speeds of up to 100MB/s. Western Digital claims in a press release that the card can move 1,200 photos in one minute. The 400GB card will set you back $250. Considering no phone (yet) offers that much local storage (and what it would cost you if they did), the price is reasonable. 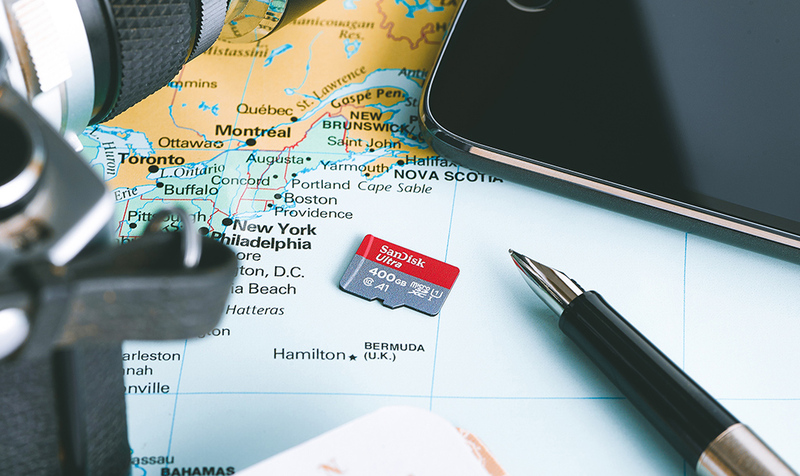 Adding to the value is SanDisk's 10-year limited warranty that accompanies all products. Western Digital already has the product page up on its website although the link to purchase only takes you to your shopping cart as of this writing. It should also be available online and in select stores in the near future.